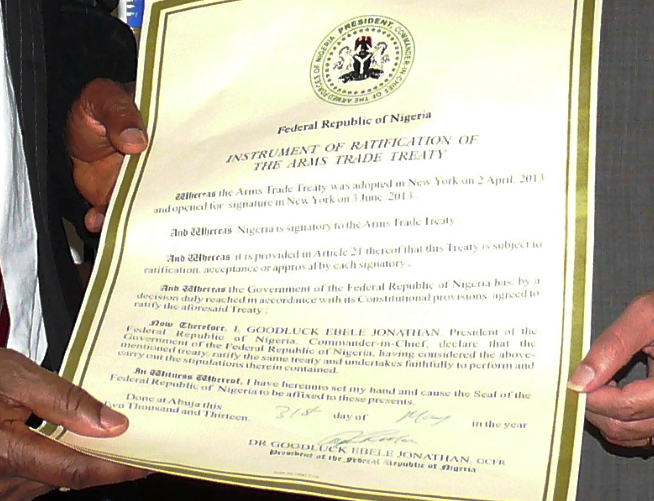 With the joinder last week of the Republic of Nigeria, the 2013 Arms Trade Treaty has 4 states parties. That leaves 46 to go for entry into force – a number that seems achievable, given that 83 states have taken the 1st step of signing the treaty since its April 2 approval by the U.N. General Assembly. As previously posted, the Assembly’s vote (154 aye-3 nay-23 abstain) became necessary when Iran, Syria, and North Korea blocked adoption by consensus at the late-March conclusion of a final treaty-drafting conference. Secretary of State John Kerry proclaimed in June: “The United States welcomes the opening of the Arms Trade Treaty for signature ….” But to date the United States is not a signatory. As detailed in the final text and previously posted, the treaty is intended to regulate “conventional arms”; that is: heavy weapons like battle tanks, armored combat vehicles, large-caliber artillery systems, combat aircraft, attack helicopters, warships, missiles, and missile launchers; ammunition; and small arms and light weapons. His reference to nonstate actors occurred against the backdrop of Nigeria’s struggle against Boko Haram, a group responsible in recent years for attacks against civilians in the northern and central parts of the state. 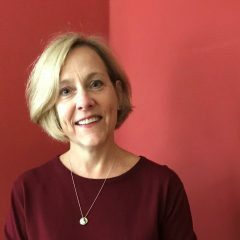 (According to the BBC, “Boko Haram,” “roughly translated means ‘Western education is forbidden’ in the local Hausa language.”) Earlier this month, a report by the Office of the Prosecutor found reasonable basis to characterize some attacks as crimes within the jurisdiction of the International Criminal Court. And just this week, a report surfaced that the armed group’s leader may have been killed. Nigeria joins Antigua and Barbuda, Guyana, and Iceland as an early ratifier of the Arms Trade Treaty.